The plane lands. The foreigners get off and most head for their destinations in Miraflores. This tourist/expat infested part of Lima could be anywhere: Starbucks. McDonalds. Pizza Hut. Really? Why bother going to Peru? 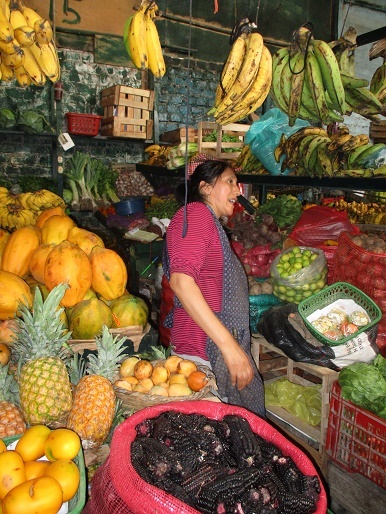 About 20 minutes away by bus, however, is Surco an engaging barrio where the locals live. Here the chances of running into foreigners is about the same as seeing llamas on the street. 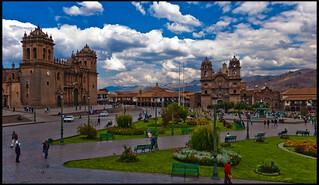 The first buildings the Spanish built were those in the Plaza de Armas and every city, village and neighborhood has one. As well as housing the cathedral, the post office and the administration it was where the guns and the ammunition were kept. In the case of attack, everyone headed there. In Surco, this square is a relaxed gathering place for locals. Older people soak up the sun; teenagers kiss on the benches; kids play football — or soccer — depending on which dialect is being spoken. Lawns and brightly colored flowers cover the plaza, and in the center of the square there is a gazebo. The ambience is tranquil and people actually talk to each other without a smart-phone or a tablet in sight. At the south-east entrance there is a small amphitheater. The municipal band plays from time to time in the evenings. So those who truly want to mix and mingle with the locals are welcome to dance. As Marlin lived in the United States for about 20 years, she is one of the few people in Surco who speaks English. She rents out two bedrooms and has an Airbnb with a private bathroom on offer. Another perk of staying with her is that she is very generous with her time and showing people around. Email her at marlin.davila@hotmail.com or call her on 51-991-26-84-21. Jorge Chevas — a 23-year old Peruvian aviator who died in 1910 after being the first pilot to cross the Alps — has many things named after him: the international airport, a major street and a market, to mention a few. The Jorge Chevas Mercado goes on forever and has almost everything, except for tourist trinkets. 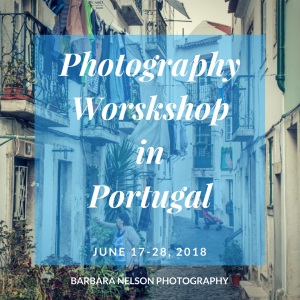 Non-Spanish speakers are advised to make a list and translate it from one of the programs and or take photos of what they want. Another option is to just wander around and see what there is to see. 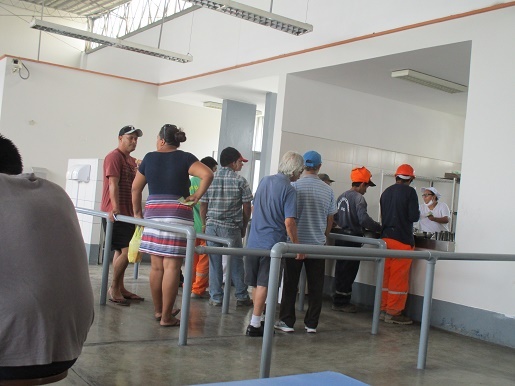 The municipality of Surco runs a lunch place about three blocks from the plaza. For four soles — about $1.33USD –the meal includes soup, rice and beans or potatoes, a meat portion and a sticky dessert. The décor is stark, the service is cafeteria style and everyone takes their trays back to the kitchen. The people who eat there are the municipal workers, the old and the poor. For some of the best ceviche in town, head for Huarique de Barranco. To get there, turn left from Jorge Chevas Mercado and walk two blocks and a bit. The place is easily identifiable as it is a red building — technically number 324 — and there are people standing and/or eating in the sidewalk. The line moves slowly. That is because each and every dish is made on the spot. Don’t fret about not having a place to sit in the elbow-to-elbow venue. By the time the food is ready, others will have inhaled theirs and left. Always wanted to have personalized Italian shoes? Take a photo and then go and see Ronald, located at the north-west corner of the Plaza. He will measure your foot and then take twice as long as he promised to deliver. But it is worth the wait. He copied a Kipling handbag perfectly in leather that will last for at least the rest of this lifetime. Rosa’s manicure shop is close to the market. Her official address is 812, Stand 03. Call her on 935-333-138 to make an appointment. At the time of writing, a manicure and a pedicure came in at about $12USD. Jorge and Jeanna run La Taverna, a great little place with an extensive selection of wine at reasonable prices. Check the Astica, a Merlot/Malbec blend from Argentina. It was 23 soles — about $8USD — to drink it in the bar or 18 soles — $6USD — to take it away. 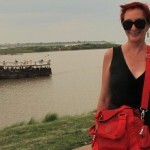 Jody Hanson is an insufferable travel junkie who currently lives in Colombia. 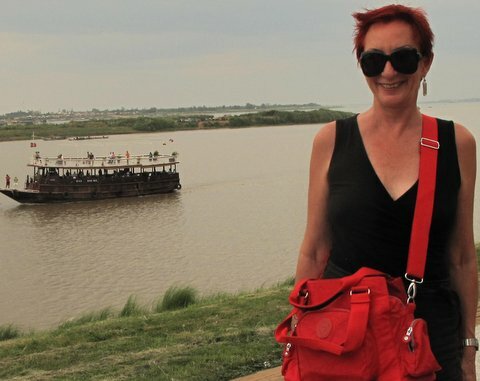 To date she has visited 107 countries, lived in eight and holds passports in three. Her – some would say irresponsible – retirement plan is to keep going until she drops. At that time she wants a Muslim burial: wash the body, wrap it in a white sheet and plant it by sundown. In the meantime, Hanson continues to have more than her share of adventures and misadventures, both of which she embraces equally.